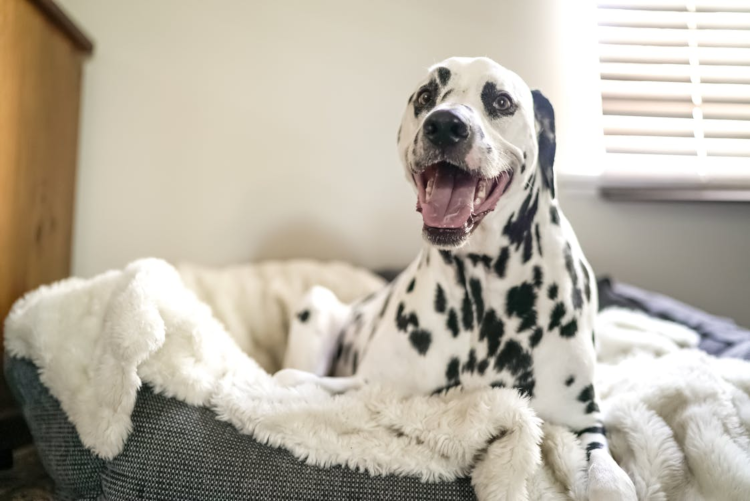 Keep your pups happy and active all day by introducing little changes to your apartment space. Have a mix of toys for active and inactive play always available to your dog. Quality over quantity: just a couple will do, but make sure your dog really gets something out of them. Does your dog have lots of energy to burn? Build an obstacle course around your apartment using tubes, mats, and things lying around your house. Coach your dog to dodge obstacles, crawl under, and leap over objects as fast as they can through your home. Leave the obstacle course out for your dog to enjoy, but don’t forget to play with them on the course every once in a while. For a fun game your dog can play alone, attach a donut-shaped dog toy to a rope and dangle it from a secure location in your house, then let your dog go nuts! Experiment by spreading peanut butter on the toy and dangling it just out of reach. One thing that will help dogs immensely with restlessness and separation anxiety is a daily schedule. Pups can relax when they know play time is coming, and will settle into a routine just like people do. Everyone feels better knowing a break is just around the corner. Most dogs are happiest with companions. If the humans are out of the house throughout much of the day, consider adopting a second dog or another type of pet. Carefully examine breed personality recommendations to find a good match. Of course, all animals are unique, and you can’t rely entirely on online info to find a good pair. If adopting another animal isn’t right for you and your situation, see about making playdates with other dogs. Ask your friends and family if they’re up for doggie playdates, and chat with other apartment residents about meeting at the on-campus dog park. Having other animals around will enrich your dog’s life while also helping them to become more relaxed around others. Need somewhere you and your dog can call home? Browse dog-friendly apartments in Western Washington.